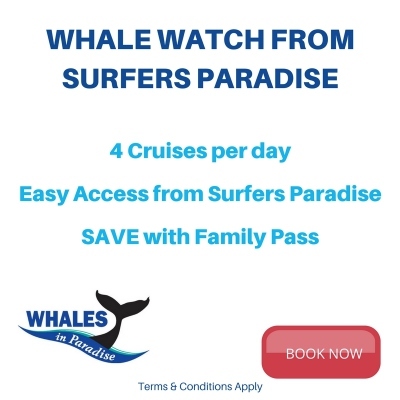 Yes - there is a free way to watch whales in Australia! All you need is a great location and a good pair of whale watching binoculars! What am I talking about? The alternative to the boat tours is of course watching whales from the land! I have done both. My personal favourite is the boat tours, but you can't afford to do that every day! Here are some of my tips for ways to see whales without going on a boat! Annie's Land Based Whale Watching Tips! I know I sound like a broken record, but you need to be prepared on the Gold Coast! What I mean by that, is during the whale watching season (late May to early November) you could be just about anywhere on the coast and experience some land based whale watching. You will find all this covered on this page, if there is something you want to skip ahead to just use the links below. A few years ago I was in the Sofitel in Broadbeach, standing on the 17th floor, if I recall correctly, looking south towards Burleigh Heads and Coolangatta when I saw something moving very close to shore. At first I didn't realise what it was. One of the people who work in the Sofitel, told me that it happens from time to time that the whales come in close to the shore between the sand bar and the breaking waves. So there I was 17 floors up in Broadbeach whale watching! If I had been on Mermaid Beach that day, I am sure I would have been equally surprised, and probably equally unprepared for the show put on by the humpback! I didn't have a camera with me and I didn't have any binoculars, so I had to watch from afar. What a perfect opportunity for some quite unique whale watching. Land based vantage points along the Gold Coast. Point Danger on the border between Queensland and NSW is a popular spot to view passing whales, but there are other viewpoints for watching whales along the coasts of Australia. Another example was the day I took the photos at the top of this page. It was Australian Father's Day - the first Sunday in September. We went on a family outing and found ourselves at Point Danger. Whilst we were minding our own business up on the point, sitting and enjoying the sunshine the kids noticed some whale spouts in the ocean. We watched the whales pass right by for about an hour we were transfixed! They spouted, and breached and played as they slowly made their way south. I took photos, but my little camera was just not a match for the distance away from us they were. I remember saying: "I wish I had the binoculars with us". Another great spot where I have often spied the whales frollicking is at the strip of beach between Main Beach and Surfers Paradise right over the road from the Macintosh Island Bridge. At this point the road meets the beach. You are up a few meters from the beach so you get a good view. And you can park right there on the road. Or it's a short walk up the beach from Surfers Paradise. That is one of the many beaches you could do some land based whale watching from. Pretty much any beach is fair game at the right time of the year. Remember what I said about the whales off Mermaid that I spied from the high rise! Southport Surf Life Saving Club at Main Beach is another place where I have sat on the balcony enjoying a breakfast and watching the whale spouts out to sea! 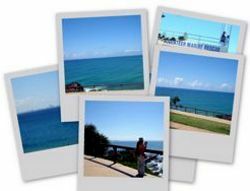 It isn't the only SLSC that has great views and great food, try Kurrawa SLSC at Broadbeach. Now, as I said before, this isn't a patch on being on the water and right up close with the whales. Budget - it can be expensive taking the whole family on a boat tour. Time - with so much to do in the Gold Coast, and only so much time, a half day tour may not work for you. Fear of boats or bad seasickness - this happens. I have my moments too! My mother would LOVE to watch whales, but I know she would find it hard to overcome her fear of being on a smallish boat. Accessiblity - perhaps it is hard for all your party to get on a boat. Whatever the reason, it doesn't mean you won't see whales. Just a little preparation could save the day. Take a camera with you wherever you go. Video camera too. The bigger the zoom the better! Take binoculars with you. If you are going on a boat you will want waterproof binoculars. Point Danger (Coolangatta/Tweed Heads border) is a pretty good spot to see the whales from land. Another good spot for land based whale watching is Byron Bay. Byron Bay lighthouse is the most easterly point in Australia. If you walk up to the lighthouse there are posters and museum with information about the whales. The last time I went, they were recording the whale songs and there was a local university research student who was telling us all about what was going on and what we could hear. It was actually live whalesong being recorded from the whales that were passing. Fascinating stuff. That day, there was a lot of whale activity and we stayed at Byron Bay just enjoying the atmosphere for hours. Although you are not high up on South Stradbroke Island you can be lucky with whales coming in close to shore on the ocean side. The beach is pristine there, so even if you don't see whales you can enjoy the solitude of the beach. You can usually join a whale watching tour from Couran Cove Resort during the season. I haven't been there yet during whale watching season but I understand that there can be some good whale watching from the northern tip of North Stradbroke Island. I have been in the summer and seen dolphins surfing the waves! So there's definitely marine life around here. You can self drive to Cleveland and take a ferry across to Dunwich and then drive about 32 kms to the point. There's some great cafes there too. 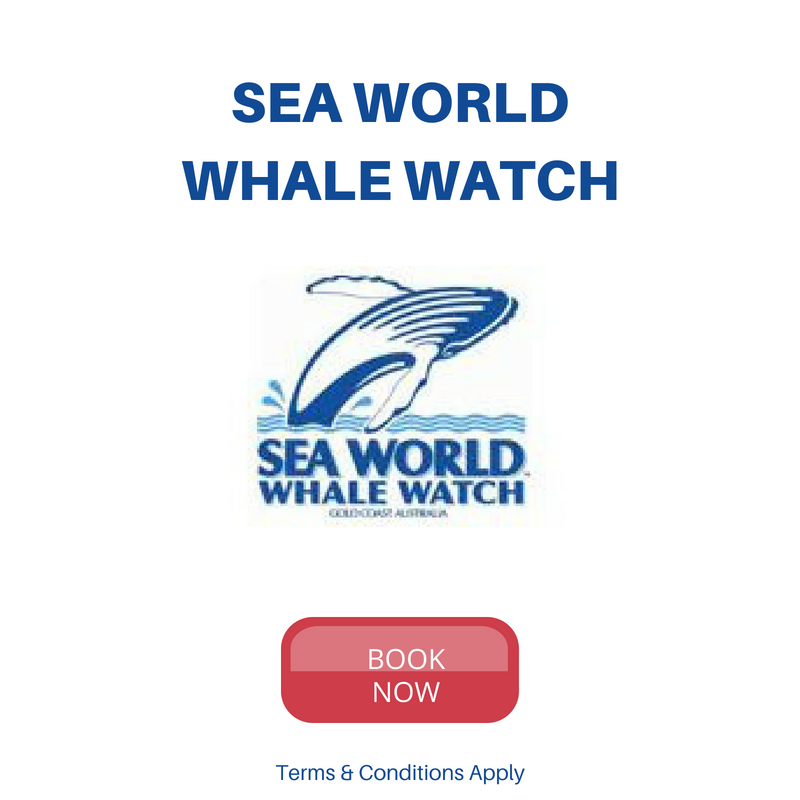 North Stradbroke Island has an aptly named resort right at the point: Whale Watch Ocean Beach Resort! I hope you have enjoyed these tips on land based whale watching. If you have any more tips or ideas you can leave your comments below and with your permission I can even add them to this list! Please come back often, share this with your friends or even give us a plug on your social network. PS: If you really want to get close to the whales you can't beat a whale watching tour.